Brothers and Sisters - How well do we know them? Of course we’re all “Digital Citizens” now. Or are we? This questionnaire allows you to assess your status – it’s divided into Behaviour, Attitude and Knowledge, with the scoring system and your ranking at the end. Working as I do on real Digital Transformations in business, it’s clear that it’s deadly serious stuff. My belief is that a sense of humour is one of the analogue attributes we want to take into this brave new world, so feel free to circulate to colleagues, friends and family to lighten up the conversation. 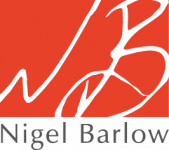 And if you are a Millennial (born c. 1979-1999) and would prefer to take this online, contact me at nigelbarlow@nigelbarlow.com. Here are the 30 questions: in each case tick one of the boxes that most applies to you. 1. Do you ever sleep with your digital devices? 2. Do you still buy CDs? 3. How often do you enthuse to friends and workmates about exciting new Apps you’ve acquired? 4. How many times a day do you check your Smartphone? 5. Do you have a landline? 7. Are you ever nostalgic about the demise of Blackberry and other phones that had actual keyboards? 8. How often do you interrupt a conversation to say ‘Let’s google it’? 10. Do you use Whatsapp? 11. Do you care if your Digital Devices are allegedly produced by slave labour in China? Care a lot Slightly worried Nah-it’s a job, isn’t it? 12. Do you think Google is . . .
13. Do you hope that that Analogue will make a serious comeback? 14. Do you believe that going digital is more ecologically sound than using paper? 15. Do you trust the Cloud? Totally untrustworthy Neutral Very Honest? 18. When you hear the phrase ‘Digital by Default’ do you think . . .
We’re being replaced by algorithms Not much really Bring it on! 19. Would you prefer to contact service providers like retailers and utilities over the telephone rather than on-line? 20. Do you feel guilty about using Amazon rather than your local bookstore? 21. If you had to explain Blockchain Technology to an alien visitor, would you think . .
23. Do you know how much data you consume in an average month? 24. Could you rig up your computer to the TV with an HDMI conversion? 26. Do you use Snapchat? 27. Do you know what the IOT is? 28. Do you know the difference between 4G, 5G and 6G? 29. Do you know what the FAANG stocks are? 30. What was life was like before the internet? Congratulations – you are one of the ‘Digerati!’ You have silicon in your veins, and are a true screenager, whatever it says on your pre-digital birth certificate. But before you hit Social Media to share the good news, consider for a moment if there’s even more you can do to eradicate every scrap of analogue mess from your life – stray pieces of paper, notes written in cursive or books that aren’t online. Destroy or digitize! Action Points: You might try to get out a bit more, although you’ve probably forgotten where the door is. Watch the movie I, Daniel Blake to recall the fate that awaits non-citizens. Almost there, but you’re not putting in the 10K hours needed to gain digital mastery. Spend an extra two hours a day gaming, on-line gambling, on price comparison sites, or re-arranging your desktop and digitizing your files. See if you can have one more screen open at the same time – watching Game of Thrones while researching insurance options and texting your partner, for example. Action Points: You need to stay in more, and don’t watch The Circle, a current Tom Hanks movie that argues we are being swamped by invasive technologies. You really need to put your back into it! Try spending some hours getting familiar with on-line banking – it’s not in the least bit safe, but can help you become more digital-savvy as you navigate all those mandatory fields with *** on them, reset your password over and over, and like snakes and ladders, return to where you started. Think of it like an obstacle course, which will improve your techno-fitness. Action Points: You simply need to put in the hours on-line. If you find this hard, just go to Youtube and watch some Ted videos on technology. They will convince you that the internet has changed everything, so the only thing that needs fixing now is you! Where have you been the last 15 years? You probably have straw in your hair, enjoy Talk Radio and country walks, and have dinner parties where digital devices are banned. You’re wasting too much time on a landline and reading books in physical format. You need to get on the net and make some real virtual friends quickly. Action Points: You’ve probably been watching Black Mirror and are convinced that new technologies are evil. Instead, choose books like Machine, Platform, Crowd, which describes how much smarter the algorithm is than your limited brain. It might just give you a kick in the pants to get with the 21st Century.